TORONTO, September 14, 2018 – Aneel Waraich, EVP, Director, Steppe Gold Ltd. (STGO); Bataa Tumur-Ochir, Executive Director, Steppe Gold Ltd.; Lkhagvadorj George Tumur, Ambassador Extraordinary and Plenipotentiary of Mongolia to the Republic of Singapore; Batjargal Gonchigdorj, Governor, Bayankhongor Province alongside Nandinjargal Ganbold, State Secretary, Ministry of Mining and Heavy Industry, joined Dean McPherson, Head, Global Mining, Business Development, TMX Group, to open the market. Steppe Gold is a precious metals exploration and development company focused on opportunities in Mongolia. 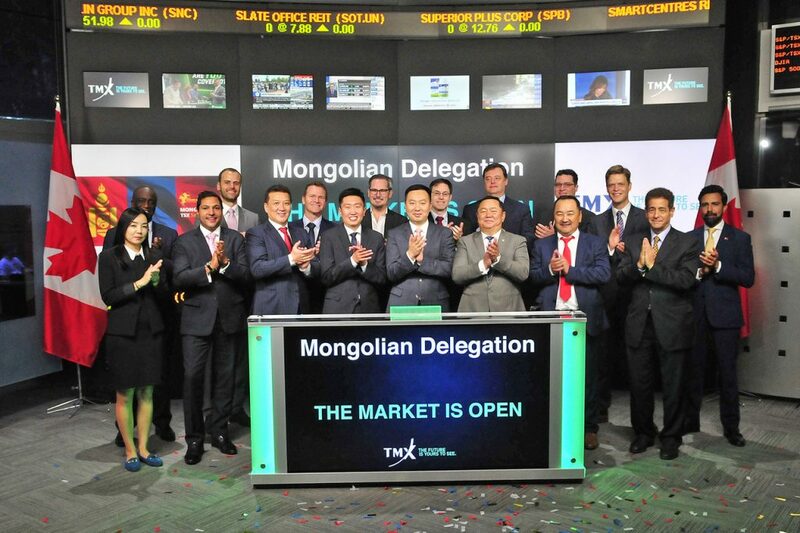 At the end of 2017, Canadian investment in Mongolia was approximately $ 6.7 billion, with their mining industry as the primary driver of bilateral commercial relations.